Move your mouse over any of the links to read a description. 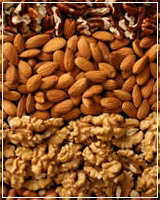 When diagnosed with a food allergy, foods that trigger the allergy need to be avoided. When certain foods are excluded from your diet it may cause serious deficiencies, since essential nutrients may subsequently be excluded from your diet. Seek detailed professional help to ensure a balanced eating plan that supplies al the nutrients needed to strengthen the immune system and minimize the effect of the allergy. 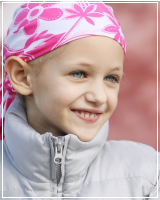 Cancer treatment can cause nausea, a loss of appetite and food aversions, especially for meat. A dietician can offer advice on choosing food that will be well tolerated. Patients also need help with choosing supplements and meal replacements to optimally support their bodies during treatment. Mouth and throat cancer poses a few other challenges to cancer patients. Make sure to get specialized help from a dietician to prevent cancer cachexia. 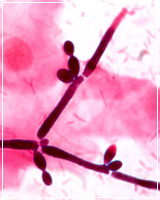 A candida infection is caused by an overgrowth of candida (a type of bad bacteria) in the body. Often the infection starts with an imbalance of bacteria in the colon. Candida thrives on certain foods that must be avoided. Constipation must also be treated and the immune system strengthened. It can only be achieved with a well-balanced diet and not by excluding food without replacing them with the correct alternatives. 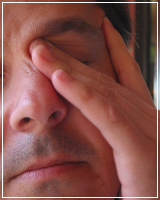 Feeling tired all the time can be very destructive to your quality of life. Often the cause is not known. When a well-balanced diet is being followed, blood sugar levels are stable, the immune system is strengthened and energy levels improved. Diet is the most important part in the management and treatment of type I and II diabetes. Medication without a meal plan is not effective. Each person with diabetes needs their own individually composed eating plan. Complications of diabetes can be avoided with good blood sugar control, which is achieved by eating in such a way together with your medication to keep your sugar stable throughout the day. 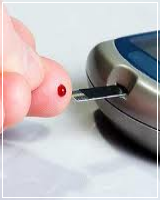 A constant high blood sugar damages blood vessels and leads to the complications of diabetes. The eyes, kidneys, heart and nerves are all very vulnerable. There is a lot of controversy pertaining to special food for people with diabetes. Ask a dietician for help to distinguish between products you can benefit from and others you should rather avoid. Diverticulosis is a condition in which the inner lining layer of the large intestine or colon bulges out through the outer, muscular layer forming "bubbles", caused by a period of constipation or increased pressure in the colon. These "bubbles" are called diverticula. It is very important to remember that gastro-intestinal problems differ from person to person and that it has to be treated individually. Certain foods may cause discomfort and must be avoided, but at the same time replaced with something else to ensure a balanced diet that provides enough fibre. Constipation must be treated and avoided by following the correct diet guidelines and preventing further damage to the colon. 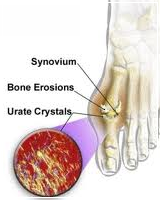 Gout can be very painful and is caused by the build-up of uric acid in the joints. Uric acid is formed in the liver when purine is converted to uric acid. To lower uric acid you need to avoid food with high purine content during flair ups. A dietician can help you manage your gout by improving eating habits and encouraging healthy lifestyle changes. 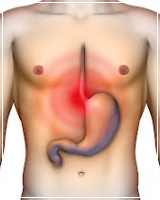 Heartburn results when acid from the stomach lands in the esophagus. You will need to avoid certain foods and lose weight with a balanced diet. Weight loss reduces pressure and reduces heartburn dramatically. A dietician can also individualize guidelines to reduce heartburn whilst losing the weight. The immune system is compromised and the goal is to strengthen it. It is important to eat healthy, exercise, avoid stress and to sleep enough. You need professional help to make sure that your diet is balanced and to access the need for supplements and also the type of supplements. It is important to take your condition and current medication into account to avoid drug interactions, which can be detrimental to your health. Hypoglycemia or low blood sugar can ascend in extremely fit people or people living a hectic lifestyle not finding time to eat regularly. A combination of low and high GI carbohydrates needs to be distributed in the correct way during the day for optimal blood sugar control. A dietician can also assist you in planning healthy meals and meal replacement for when you are on the go. Hypercholesterolemia, also known as high cholesterol, is caused by cholesterol plaques building up in arteries leading to strokes and heart attacks. HDL-cholesterol is the good one, whereas LDL-cholesterol and triglycerides are harmful. The aim of the diet is to lower LDL and triglycerides (if it is elevated) and raise HDL. The elimination of cholesterol and saturated fats from the diet are not the only alterations to be made. Consult a dietician for a complete cholesterol lowering lifestyle change. The prevalence of insulin resistance amongst South Africans and especially the youth is on the increase. 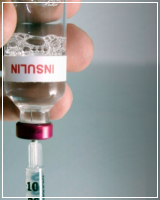 When insulin in the blood is elevated and blood sugar is still normal, it is called pre-diabetes or insulin resistance. Left untreated, it will progress into type 2 diabetes. Insulin resistance makes it difficult to fall pregnant and also to lose weight. Signs of insulin resistance are fat distributed around the midsection, a brown fold at the back of the neck and craving energy. The only way to treat insulin resistance is by exercise is by following the correct diet and losing weight. 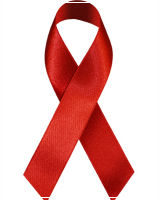 Visit your GP to get tested. It describes the colon or large intestine which is irritable and spasmodic. 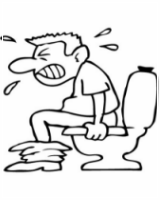 Constipation is usually followed by episodes of diarrhea accompanied by pain, discomfort and flatulence. The bowel is at its happiest when given the correct types of fibre in accurate amounts together with good bacteria. It is very important to remember that gastro-intestinal problems differ from person to person and that it has to be treated individually. Certain foods may cause pain and discomfort to one person, but may not to another. Get an individualized eating plan provided by a registered dietician to keep your colon happy and relaxed! Constipation is a very common problem and can lead to more serious conditions such as hemorrhoids and diverticulosis if left untreated. More than 90% of constipation is linked to incorrect eating habits. Be aware that certain laxatives are pro-kinetic which means that with chronic use, you are doing more harm than good. Pro-kinetic laxatives will make your bowels lazy and even contributing to nerve damage, meaning that your intestine lose its ability to function. A dietician can supply an individualized eating plan with the correct types and amounts of fibre to combat constipation without the use of laxatives. 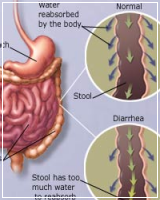 Chronic diarrhea can be serious and detrimental to your health and quality of life. It is important to get your diarrhea diagnosed by a doctor since there can be copious reasons for it such as not enough fibre in the diet, HIV, food poisoning, gluten allergy, crohn\'s disease, ulcerative colitis and many more. 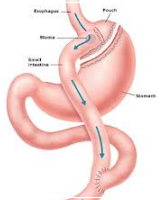 With the correct diagnosis, diet alterations can be helpful, get professional help. With kidney disease the intake of fluid, protein and electrolytes must be controlled. You also want to keep your nutritional status as good as possible. Depending on your treatment, a specific diet will be prescribed by your dietician. Failing to comply with dietary guidelines can be life threatening. 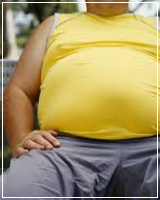 During menopause women might usually feel very uncomfortable and gain weight. Energy levels are often low. 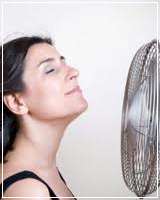 The symptoms of menopause improve as well as your mood if your diet is well balanced. Weight gain can also be prevented or corrected. 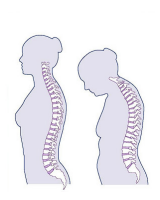 Menopausal woman are at risk of developing osteoporosis because of a drop in their estrogen levels, which plays a role in bone health. Calcium supplementation needs to be individualized. Also see Osteoporosis. The healthiest and most sustainable (non-surgical) way to weight loss still is a balanced diet and exercise. A balanced diet is particularly key, ensuring the vital nutrients needed from keeping your metabolism from slowing down. Fast diets and yo-yo dieting is not sustainable and slows down your metabolism, which will make you gain all the weight you have lost (and more) in no time. It helps if you have an eating plan that suits your lifestyle, because you need to make permanent changes to your eating habits, otherwise the weight will just come all back. In other words - a personalized meal plan is a good idea, consult a dietician! We all know that healthy eating is never more important than during pregnancy and breastfeeding. But what else can a dietician help you with? A well balanced eating plan designed to alleviate nausea, constipation, bloatedness and heartburn. Also preventing excessive weight gain, as a balanced diet will provide the body with all the necessary nutrients combating cravings. Certain foods may contain harmful bacteria and toxins, which can potentially cause a serious problem for your baby during pregnancy and breastfeeding. You need to know which foods to avoid. During breastfeeding you need a well balanced diet for optimal milk production but not excessive kilojoules as you will probably want to lose weight as soon as possible. We all want to give our children the best of everything and it starts with a well-balanced eating plan during pregnancy and breastfeeding. Please do not believe everything you read on the internet, rather consult a healthcare professional. Being underweight (having a BMI below 19.5kg/m²) can be more detrimental to your health than being overweight or even obese. Being underweight undesirably affects your metabolism, cholesterol levels, fertility, hair, skin and nails as well as vital organs in severe cases. Lifestyle changes can help you gain control over your eating habits resulting in healthy weight gain. You would want to gain muscle and not excess body fat. A well balanced eating plan can give you the support and structure you need in your life. There is a lot of controversy on this matter. To date, science has proven that sugar does not contribute to hyperactivity. Certain foods, additives and preservatives as well. But this does not mean that a child should be eating these foods on a regular basis. 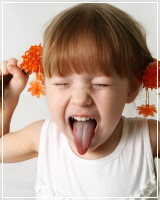 Evidence has shown that the eating habits developed early in life tend to progress into adulthood. 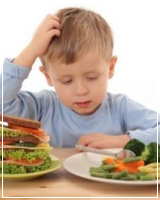 This emphasizes the importance of establishing healthy eating habits in early childhood. Children with healthy eating habits have shown increased cognitive performance compared to those with unhealthy eating habits. 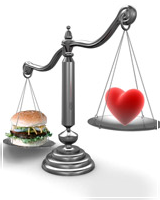 It is all about balance, a strict diet can do more harm than good. Healthy kids are happy kids! The Lunchbox and Dinnerplate is a service available in Bloemfontein (a company supplying healthy lunchboxes to pre-primary and primary school children). Iron deficiency is one of the most common nutrient deficiencies diagnosed in young females. Symptoms include tiredness, pale palms and even hair loss. Anemia is easily treated with an iron supplement. A dietician consultation is of utmost importance since the supplement should be taken with the correct types of food for optimal absorption. Iron supplements may also cause gastro-intestinal discomfort and constipation, which is treated with the correct dietary guidelines. 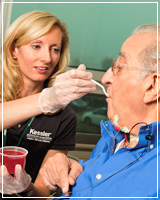 Dysphagia is often the result after a stroke or motor vehicle accident. Difficulty swallowing may be temporary or permanent. 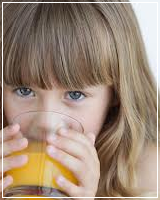 A dietician can support such a family with guidelines pertaining to a healthy balanced diet in a fluid form. Interesting to note is that water is the most difficult consistency to swallow. Hence expertise will be given on consistency and the use of thickeners. There are various eating disorders in our society, especially amongst teenagers and adolescents. Eating disorders are not only defined by anorexia nervosa (starving to be thin) and bulimia nervosa (self-induced vomiting in order to rid ingested food), but also constant over eating or binge eating and bigorexia (obsession with building muscle). Eating disorders has a big psychological component and needs to be treated by a whole team of medical experts. A dietician will provide a healthy well balanced eating plan, initially for the rehabilitation phase, adjusting it frequently until the meal plan is suitable for life. 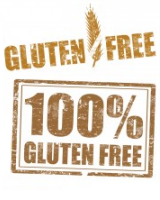 Gluten is a type of protein found in wheat and wheat products. Gluten allergy, also called Coeliac Disease, is a serious condition where a person suffers from extreme cramps, diarrhea and gastro-intestinal bleeding when ingesting wheat. Once diagnosed by a medical doctor, a specialized eating plan and gluten free guidelines can be obtained from a dietician. A dietician can also supply recipes and advice on wheat flour substitutes, which can be very useful. When a mother is unable to breastfeed due to medical reasons or chooses to formula feed, choosing the best formula for the baby can be challenging. Dieticians are the experts when it comes to feeding and nutrition, even for infants. 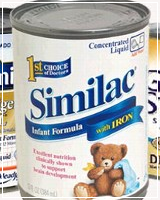 When giving formula it is not only about making an informed choice on which tin to buy, but also knowing the risks involved (increased risk for infection and constipation) and regularly checking for symptoms. 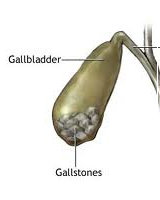 When having a gallbladder removed (also called a cholecystectomy or lap chole), you probably need to make a few dietary changes afterwards. A dietician can be helpful in implementing those changes. Having your stomach removed (due to cancer or peptic ulcer) or gastric bypass surgery, requires a completely different eating pattern but which is still well balanced and containing all the essential nutrients your body needs. When not carefully following a eating plan worked out by a dietician, one stand the risk for developing serious complications like dumping syndrome and vitamin and mineral deficiencies like vitamin B12 and iron, to name just a few. Gastritis, or otherwise known as a peptic ulcer, may form due to chronic stress or infection, amongst others. Certain foods may cause discomfort and should be avoided. Foods avoided need to be replaced with the correct substitutes in order to maintain being optimally nourished. 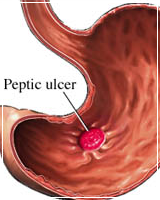 Lifestyle changes can be helpful to prevent ulcers from returning. 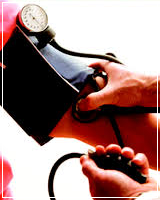 Untreated high blood pressure may lead most commonly to stroke, kidney disease and heart failure. Checking your blood pressure regularly and taking your prescribed medication is not enough to optimally control your blood pressure. Some people are hyper-responsive to salt, meaning that their blood pressure increases when eating salt and salty foods. But salt is not the only dietary alteration when it comes to treating high blood pressure. Consult a dietician for the complete dietary approach to lower your high blood pressure. Crohn's disease usually occurs in the lower portion of the small intestine and the colon. Inflammation may pervade the entire intestinal wall. 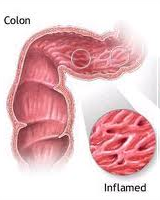 Ulcerative colitis involves only the colon and inflammation affects the first two layers of the intestinal wall. 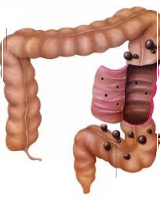 People suffering from these two detrimental inflammatory bowel diseases usually battle with chronic diarrhea, are constantly losing weight and unable to put it back on again and trying their best to be in remission. A dietician can help one manage the disease, teaching one strategies to avoid painful flair-ups. 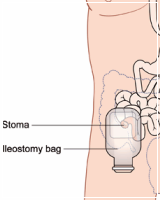 An ileostomy or colostomy refers to the removal of bowels, usually as the result of bowel cancer or trauma to the bowels. It may be necessary to have a bag or stoma on the surface of the stomach, when normal functioning of the bowel is no longer possible. A special diet is advised initially to help control symptoms and getting to know the bag. 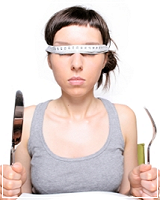 A patient requires specialized attention to ensure that a balanced diet is followed for the rest of this person's life. 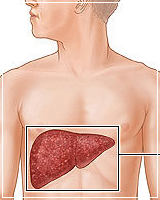 People with liver disease need to follow a specific diet depending on the severity of the disease. 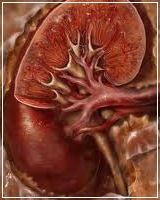 Protein is metabolized by the liver to ammonia and then converted to urea and secreted through the kidneys. In the case of severe liver failure, ammonia accumulates in the body causing symptoms of confusion and even coma. Thus a patient needs to be on a protein restricted diet, and the protein that he consumes needs to be from branch-chain-amino-acids, which will not contribute to the accumulation of ammonia in the body. Osteoporosis is a disease characterized by loss of bone mineral density, currently affecting 200 million people worldwide. For decades calcium has been the most obvious choice of dietary supplement for improving bone health. Several studies show, however, that supplementing with calcium exclusively is not enough. Our bodies need to optimize the use of calcium as excess calcium will stick to the blood vessel walls, making them stiff and less elastic. A dietician can inform you on which supplements to use, when to take it and with regards to certain types of food for optimized results. 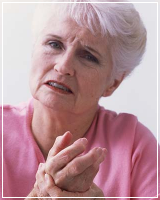 Arthritis is characterized by inflammation in the joints. A specific diet should be followed to minimize inflammation since certain foods contribute to inflammation while others have anti-inflammatory properties. Weight management is also a priority because excessive weight puts extra strain on the joints. 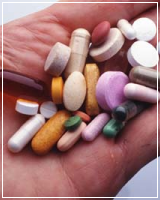 Consult a dietician on the type of supplements you should also be taking. 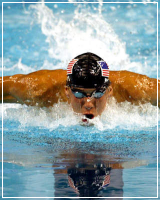 Carbohydrate is the main source of energy to fuel the body and recover muscle. The use of low and high GI foods respectively at the correct times during the day and with regards to exercise will optimize sports performance. Fluid intake is equally important. These days it is no longer acceptable to drink coke and Disprin before a game, there are plentiful specialized formulations and recipe\'s tailored to optimize performance and recovery. Are you struggling to fall pregnant? It might be that you have PCOS (poli-cystic ovary syndrome), cysts associated with insulin resistance, fat distributed around your midsection and difficulty losing weight. Visit your GP or Gynecologist to get tested. After diagnosis a dietician can be helpful in prescribing a diet specifically for PCOS to address insulin resistance, helping you to lose weight, since it is one of the key factors in treating PCOS and falling pregnant. The truth is that supplements are a multi-billion market worldwide, and that is exactly what it is. Companies are mostly in it to make money, selling us bottles upon bottles of substances our bodies do not need, cannot use or already have more than enough of (only wasting the consumers money). Most of the products are not even clinically tested to prove efficacy. On the other hand please keep in mind that not all supplements are worthless, ask a dietician about the supplements you should be taking.